No matter where Princess ships sail, passengers enjoy warm and gracious service in an atmosphere of comfortable elegance. Princess crew members are dedicated to providing exceptional service to ensure guests can escape the everyday with an unforgettable vacation. 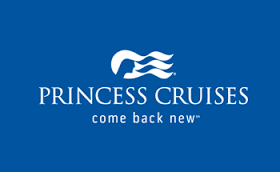 Princess’ CRUISE customer service training program, has worked to ensure superior service levels for more than a decade, making it the longest running such program in the industry. This guiding philosophy defines the Princess onboard experience and includes a variety of programs to make sure that onboard staff members work in unison to serve passengers, and provide a remarkable cruise experience. Princess’ more than 150 different itineraries offer travelers the opportunity to literally cover the globe, with sailings to six continents that call at more than 300 ports and destinations around the world. Destinations include the Caribbean, Alaska, Panama Canal, Europe, Mexico, South America, Australia/New Zealand, South Pacific, Hawaii, Tahiti/French Polynesia, Asia, India, Africa, Canada/New England and world cruises. Princess passengers can enhance their cruise experience with a wide array of in-port excursions worldwide, and the company’s cruise tour offerings enable passengers to combine their cruise with a full land tour.